While we might want the latest and greatest smartphones, in reality not many of us can afford the latest iPhone or the top of the line Android device each year. Not only that, some of us might not even need a top tier device to satisfy our needs. I know many people out there who only use their smartphones for social media reasons – like checking out Facebook, Instagram, Snapchat, taking photos and selfies, and the occasional casual game. For those people, having the newest and most advanced devices just doesn’t really make much sense if you’re not going to use all that power. That’s why smartphone makers also make mid-level devices that are more affordable, but still pack the needed specs for everyday tasks. Take for instance the new HTC Desire 626, a mid-level device with similar specs and features as the top of the line HTC One M9, but in a more affordable package. 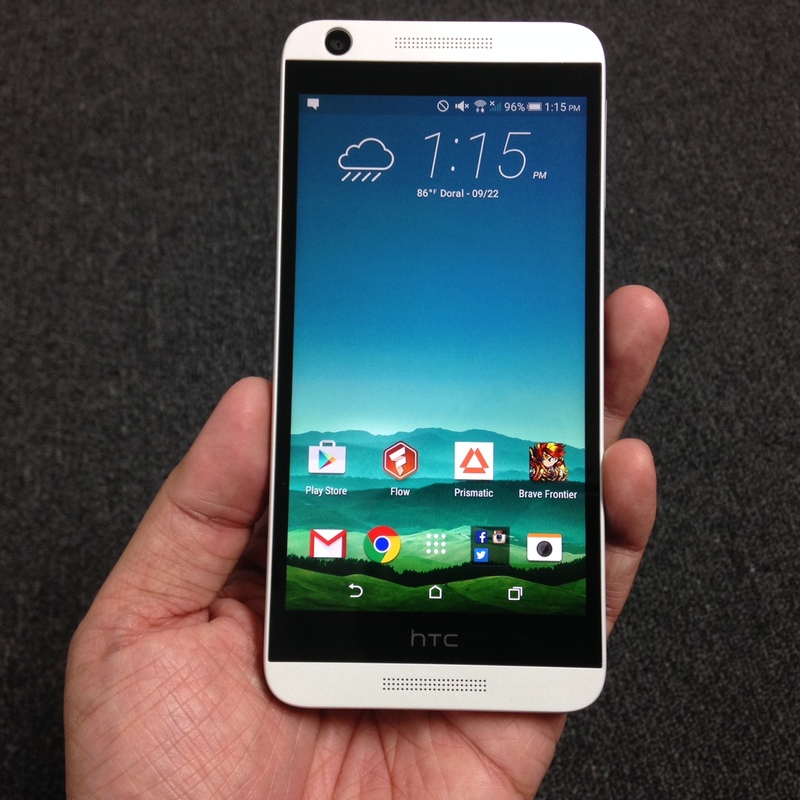 For this review, HTC was kind enough to send me a new HTC Desire 626 on the AT&T network. I’ll be dividing the review up into separate posts as I evaluate certain aspects of the device. For this first look, I”m mainly concentrating on the overall look and feel of the HTC Desire 626 and its build quality. 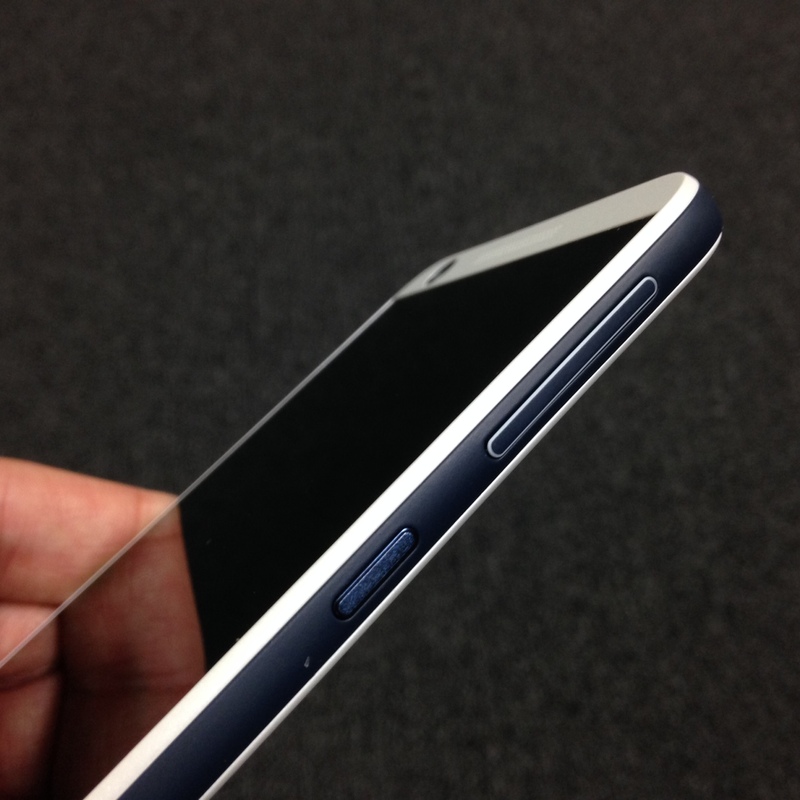 The HTC Desire 626 does not feature an all metal body like the HTC One M9. Instead, most of the entire device is made from durable and strong polycarbonate. 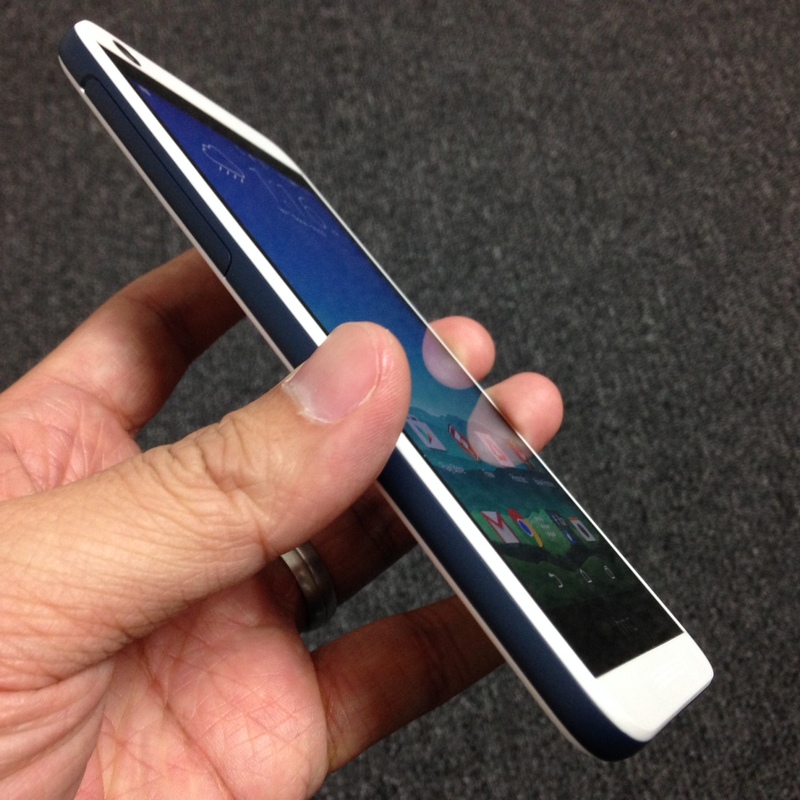 It features a 2-toned color design and in the case of the AT&T version, that means and all white body with a dark blue colored band along the edge of the phone. This band feels like it’s coated in a soft touch rubber which makes it incredibly comfortable to hold and grip. That means that unlike the HTC One M9, you never feel like it’s going to just slip out of your hands. I felt very secure holding it and would feel entirely comfortable using the HTC Desire 626 without a case. The front of the HTC Desire 626 looks very similar to the HTC One M9. It has a large 5-inch HD display (720p) with two speaker grills along the top and bottom of the phone. However, I believe only one of them actually has a speaker in it. There’s even a nice 5mp front facing camera for selfies. 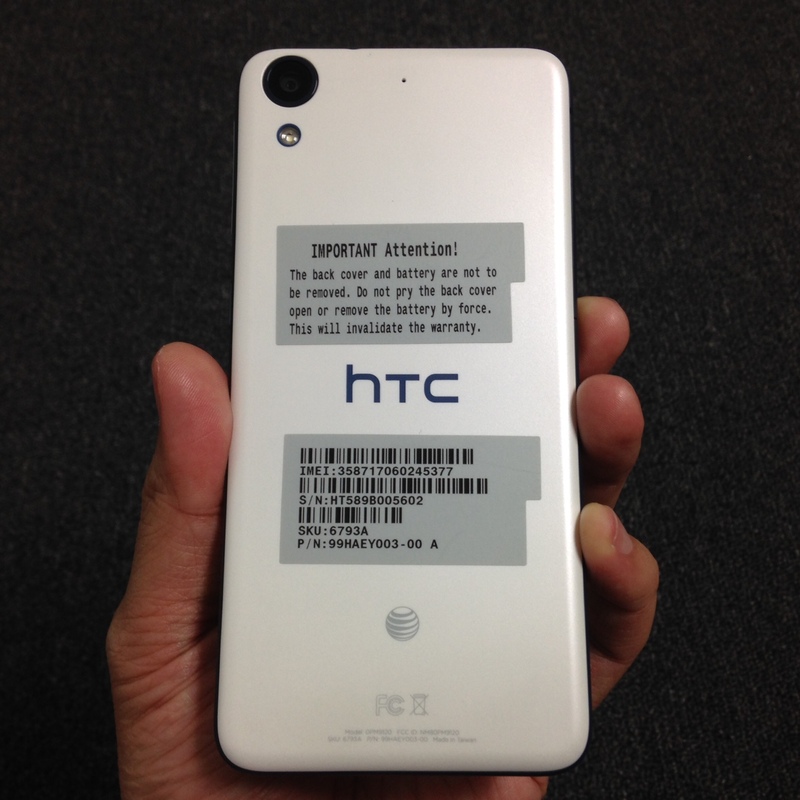 The back of the HTC Desire 626 is mainly all white with a large HTC logo right in the middle and a small AT&T logo near the bottom. The top left corner houses the 8mp rear camera along with a small LED flash that sits below it. There’s also a tiny mic hole located up top. The edges of the phone are fairly clean with very little clutter. The bottom edge has 1 USB charge/sync port while the right side edge holds the power and volume buttons. 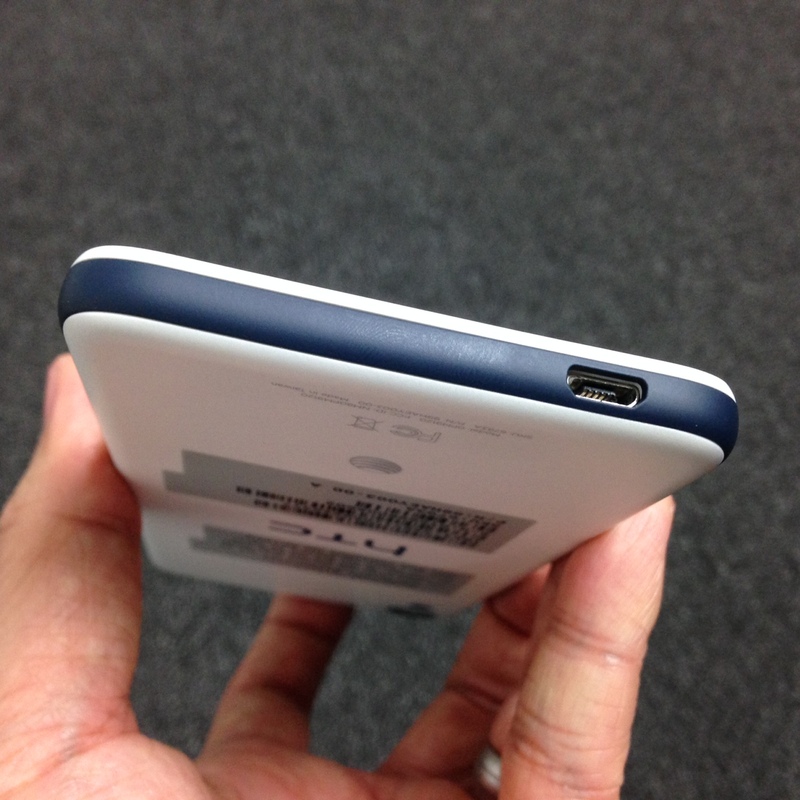 The left side edge has a plastic flap that covers the sim card tray and SD card slot. The flap is really secure and takes a bit of effort to remove. And yes, you heard right, there’s an SD card slot which means you can expand its base 16gb of memory up to 200gb. This is one feature I really wished Apple would include on their iPhones. Because this is a mid-level smartphone, specs on the HTC Desire aren’t the highest, but for most people, I think it’ll be enough. It does feature a quad-core processor which in my early usage, seemed like more than enough to handle all my social media sites as well as most games. There were a couple games I tried where you could tell they were struggling, but these are CPU intensive games that even some top-level phones have trouble playing. Everything else seemed to run quite smoothly even with HTC Sense 7 skin running. The HTC Desire 626 is a solid smartphone. 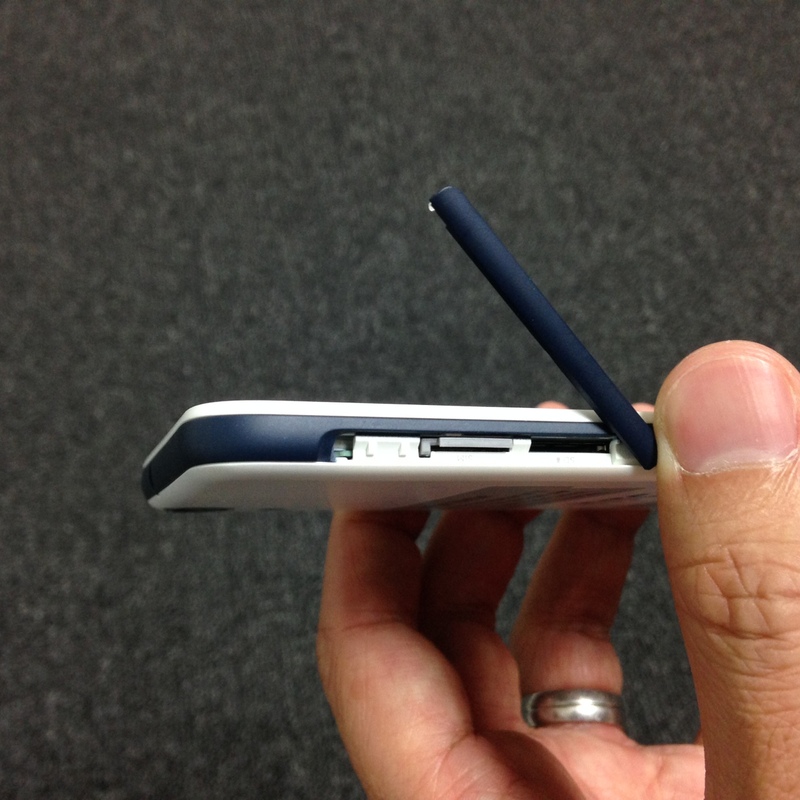 The body feels very sturdy in your hands and doesn’t seem like a fragile device. Like I noted above, holding this thing is a dream. It’s comfortable and the polycarbonte plus rubberized band make it feel very secure in your hands. I never once felt like it was going to slip out of my hands and fall, which is not very common these days with the higher end devices. This is the first phone in a long time where I’ve felt this way. Because of this, I honestly don’t think a case is required at all for the HTC Desire 626 which means you won’t have to hide its rather handsome good looks. Again like stated above, the specs aren’t mind blowing. The HD screen only outputs in 720p, which I believe is fine for most occasions. You will notice pixels upon closer inspection, but for the most part, for a mid-range phone, it’s not bad at all and is very usable. Though the device has 2 speaker grills, there really is only 1 speaker that outputs sound. With that said, the speaker is very loud so I don’t think most people would notice the one missing speaker. The 2000mAh battery in the HTC Desire 626 is also pretty small when compared to other new smartphones. However, due to the lower specs of all the hardware, it really doesn’t eat up that much juice. I’m able to get a full days worth of charge despite the smaller battery with plenty left over when I get home. As long as you aren’t using any CPU intensive apps, you should be fine. If I were to solely base my review on hardware alone, I’d probably give the HTC Desire 626 high marks. I really do like the way this phone looks. It’s sleek, fairly thin, and doesn’t look cheap at all. The polycarbonate body doesn’t seem cheap feeling like other plastic phones and the lack or metal of glass on the back makes it a whole heck of a lot easier to hold in your hands. The rubberized band also helps a bit in the grip department. Overall, I really like how everything comes together with this minimalistic and clean design. With that said, hardware isn’t the only factor here. I’ll have more with the HTC Desire 626 soon as I take a more indepth look at the software and how well it works with the hardware. Device provided to us by manufacturer, their PR rep, and/or carrier rep. This does not affect the out come of the review.